Hi. Welcome to fiskbook. Here at fiskbook, we pride ourselves on being better than facebook. That’s because we don’t tell you about what we had for dinner, or who our favourite X Factor contender is. We leave that to facebook. We also promise never to lol. That’s a facebook thing too. You see, already, you can understand the virtues of fiskbook over facebook. Choose your future. Choose life. 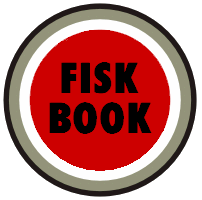 Choose fiskbook.